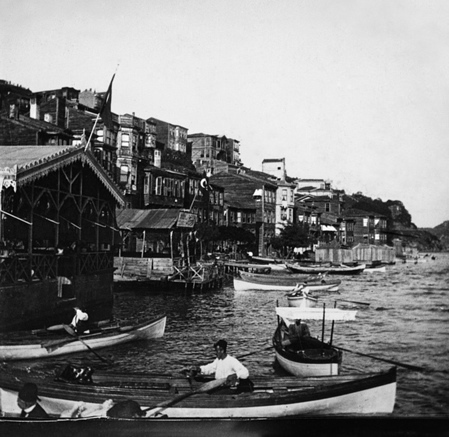 Naval officer, traveller, poet, painter, photographer and the ultimate French Orientalist, Pierre Loti, was, like many others before and after him, absolutely beguiled by Istanbul. 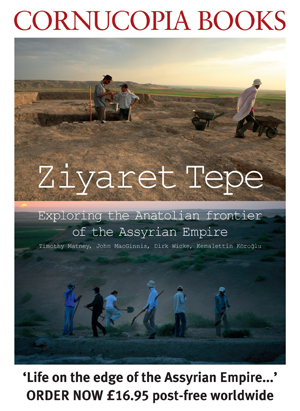 He lived in the city from 1903 to 1905, allegedly fell in love with a Circassian girl named Aziyadé, whose name graces his most famous novel, and even had a hill named him – the now legendary mount in Eyüp overlooking the Golden Horn on which he stood many times and photographed (above photo) extensively during his two-year sojourn in the city. An exhibition at the Notre Dame de Sion French High School in Harbiye from September 27 to December 14 brought together Loti’s black-and-white and sepia photographs capturing the city’s monuments and everyday neighbourhood scenes. Although the exhibition has now ended, I could not help being captivated by Loti’s romanticised photographs on my visit and wanted to share some of them with Cornucopia readers. The ‘troubadour des réalités humble’, as Loti was known, photographed the city’s monuments but never in isolation – he always captured the surroundings, thereby somehow humbling the monuments and humanising their grandeur. 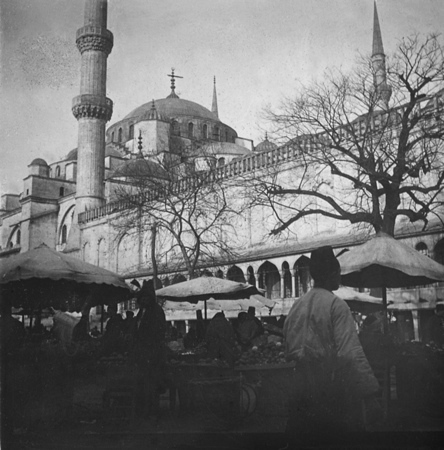 The above shows a man and two women walking towards the camera in front of the Fatih Mosque. An outdoor market with shoppers outside the Blue Mosque. 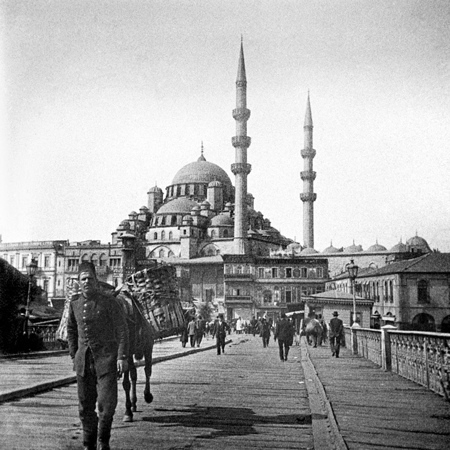 Life on the Galata Bridge, the pontoon bridge across the Golden Horn which connected the Yeni Cami (New Mosque) and bazaar districts of the Old City to the European Quarter. 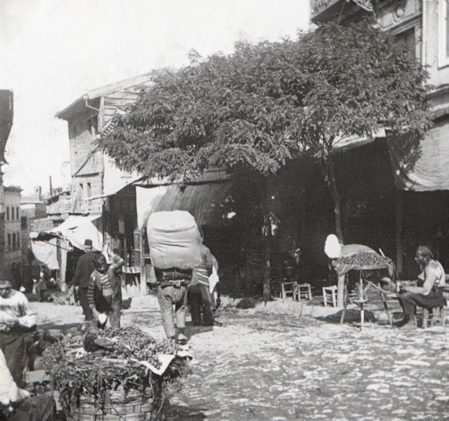 Some of the most charming photographs are those highlighting the daily life of the colourful characters who call Istanbul home, such as the porter in the centre of this picture and the simit-seller, on the right, outside a shady café. 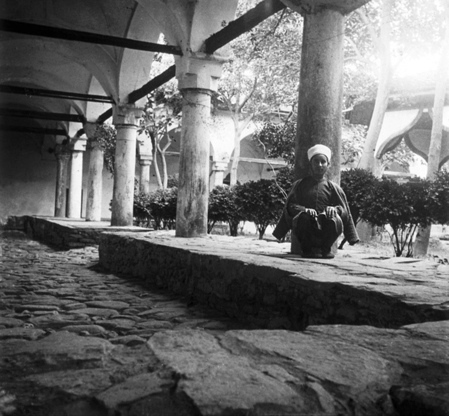 A young imam relaxes in a mosque courtyard after prayer time. Loti had a wonderful eye for both unusual viewpoints and textures – a useful lesson for today's high-earning ‘restorers’. Houses and shopfronts were another focal point of Loti’s photographs. 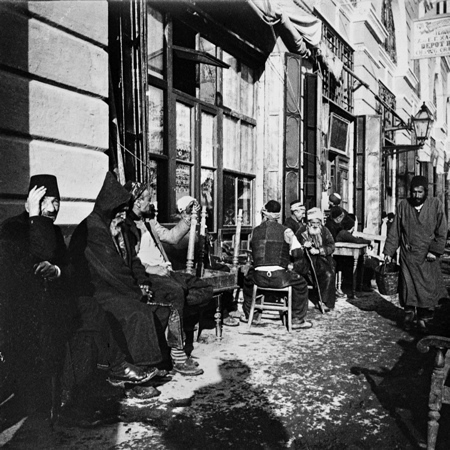 The above shows a group of men sitting outside a furniture store. 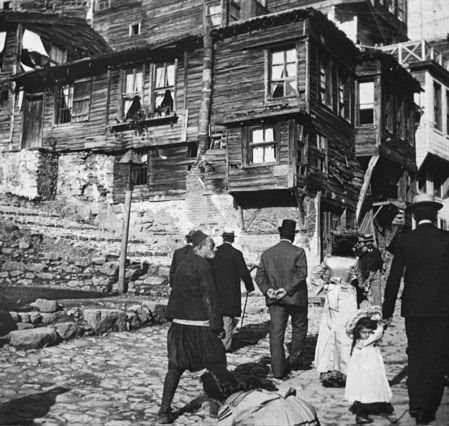 Families in their Sunday best make their way past some delightful wooden houses. The various residents of another cobblestoned neighbourhood full of traditional two-storey houses with overhanging bays (cumba). Modern municipalities have a particular allergy to Arnavut kaldırım (Albanian paving), as this kind of cobbling is known. In fact, in a city where flash floods are common and the steep hills are treacherous in winter, it is extremely practical. 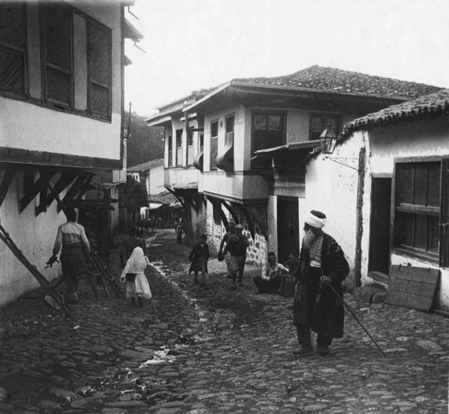 Rumelihisarı and Kuzguncuk are two relatively well-preserved Bosphorus villages that have had their beautiful old streets wrecked in recent years by bone-headed municipalities asphalting over the Arnavut kaldırım. One day, when a more responsible generation of administrators embark on the task of undoing the horrors inflicted on the city in recent years, Loti’s images will be invaluable. 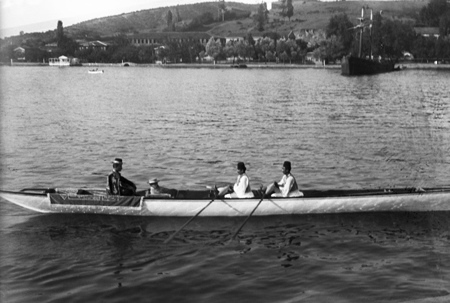 As a naval officer, Loti had a natural appreciation for water, perhaps one of the reasons why he loved Istanbul so much. This image shows caiques waiting to collect passengers at a jetty. And here the great Orientalist himself in his signature hat is seated (actually almost lying down, second from left) in his slender ‘caïque à Beïcos’, rowed by two elegantly-attired Turkish oarsmen, Hamdi and Mevlut. 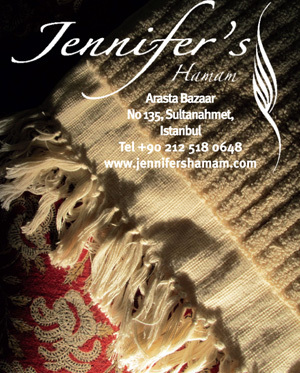 Istanbul has changed dramatically since Pierre Loti captured her charms, but remains captivating if constantly under threat. 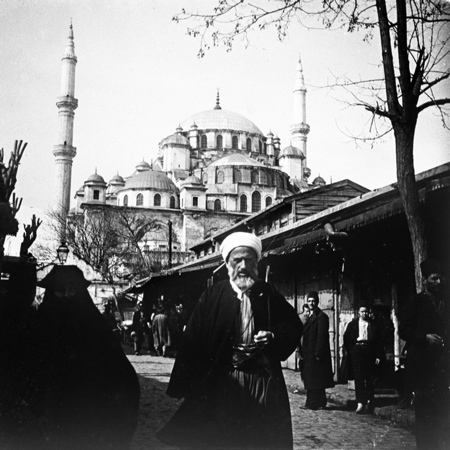 For views of the Old City and the Golden Horn today, see Cornucopia 50: Istanbul Unwrapped, a portrait of the city through the eyes of two modern photographers Fritz von der Schulenburg and Jürgen Frank. The issue also celebrates the opening of the new Naval Museum in Beşiktaş, with its fine collection of imperial barges and refined caiques, the kind that Loti knew well. Cornucopia subscribers with valid membership cards will be able to visit the museum free of charge from the beginning of January to March 31, 2014.